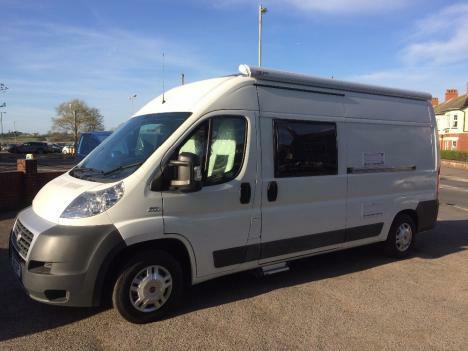 Our Peugeot Boxer Deluxe 4 berth conversion is deigned to carry 4 and sleep 4 people in comfort and luxury. The new layout includes evrything you would expect to find in any fully equipped high end motorhome. 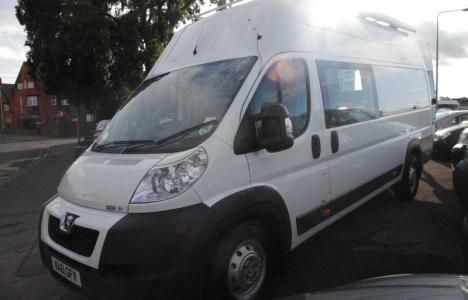 - 4 Berth with 4 travelling seats including seat belts. - Fixed rear double bed with garage style storage below. - Dometic Thetford cassette toilet and shower unit. - Truma Combi diesel heating system. - Cann Combination gas cooker & sink. - CBE Digital mains/12v power management system. - ‘PolyPlastic’ privacy tint opening windows with internal black out blinds. - In board 80L fresh water tank. - Hot & Cold running water. - LED Lighting throughout including cupboard back lighting. - LED reading lights above rear bed. - High & low level storage units. - MAXXAIR rear ventilation unit. - Extendable length rear table. - Extendable length kitchen work top. 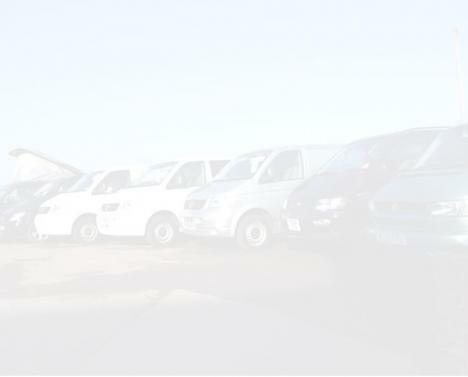 We offer several option of conversion for FIAT Ducato's, please contact us for more information.